The kind of life you want to live will have a big impact on your number. You’re a retirement rock star: You contribute to a retirement account on a regular basis, up your contributions annually and frequently rebalance your portfolio. Still, you may not know the answer to the million-dollar question: How much does it cost to retire? You’ve probably heard a popular rule of thumb, that you should aim to replace 80 to 85 percent of your pre-retirement income in retirement. That’s based on the assumption that a lot of your major expenses will have dwindled by the time you quit working — plus the fact that you won’t need to divert any more dollars toward retirement because, well, you’ll actually be retired. But in reality, there isn’t a one-size-fits-all figure that works for everyone. Ask yourself these four questions to get to your own magic number. Do you want to spend half the year visiting family or traveling to exotic locales? Do you want a second home so you can snowbird during the winter months? 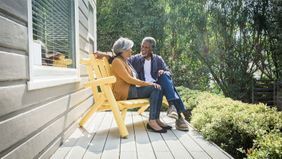 If your dream retirement is all play and no work (that is, you don’t plan on dabbling in a side gig or working part-time to stay busy) then your expenses might actually be higher than when you were working. 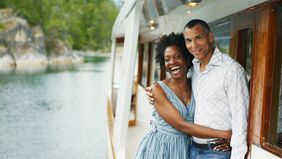 On the flip side, if you want a retirement that’s more low-key — say, day trips to the countryside over a month-long Caribbean cruise — then your expenses may indeed be less than what they currently are. Take some time to map out what both your essential and discretionary expenses might be in retirement so you’re not shortchanging both your must-have and nice-to-have goals. WHERE WOULD YOU LIKE TO SPEND YOUR RETIREMENT? If you decide to move, two of the biggest considerations here are cost of living in your new wannabe hometown, as well as how much mortgage debt you’re able to take on if, say, you wanted to grow old in a lake house rather than the home you already own outright. So take some time and do your research to see how the city or town you’d like to move to fares when it comes to factors like taxes, housing and health care costs. For example, a 2016 analysis of top retirement cities by Kiplinger found that retirees in Decatur, Alabama, and Tulsa, Oklahoma, have a cost of living that’s about 11 percent lower than the average for retirees in other parts of America, in part thanks to tax-friendly policies and lower-than-average health care costs. Also worth noting? Myrtle Beach, South Carolina’s retiree housing costs are nearly 29 percent below the national average. In reality, there isn’t a one-size-fits-all figure that works for everyone. On average, a woman who is 65 years old today can expect to live until she’s at least 86 years old; a 65-year-old man will live to be about 84, according to the Social Security Administration. That’s about two decades (or more!) where you’ll have to cover health care costs without the aid of an employer’s health insurance plan. While Medicare is designed to help retirees pay for some medical costs, it doesn’t cover everything. For instance, Medicare Parts A and B doesn’t cover long-term care, most dental care, eye exams and hearing aids, among other products and services. Meanwhile, health care data company HealthView Services estimates that a healthy 65-year-old woman who retired in 2016 and lives to 89 will have to pay more than $306,000 in insurance premiums and out-of-pocket medical costs; a man living to age 87 will end up paying more than $260,000. So think hard about what your health might look like in retirement when estimating your expenses. You may need to look into supplemental health insurance coverage and ways to cover long-term care. DO YOU PLAN TO HELP OUT FAMILY? Of course, we’re just scratching the surface here, but answering the above questions can help you start wrapping your head around what your potential target retirement savings goal should be. 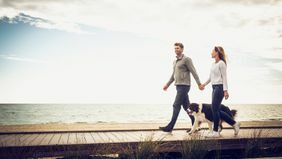 You can also go a step further and use a retirement calculator to help estimate how much of a gap there might be between what you’re saving now and what you may need to save, based on factors like your current age, your desired retirement age, and how much you’re currently putting away. And remember: Don’t feel overwhelmed by the numbers. With a plan in place, it’s never too late to start making progress on your retirement goals.